Our second edition of #INDOCHINOmen delves into the shelves of Rainier Jonn, a data analytics engineer for the startup Movoto by day and a Bay Area style icon by night. 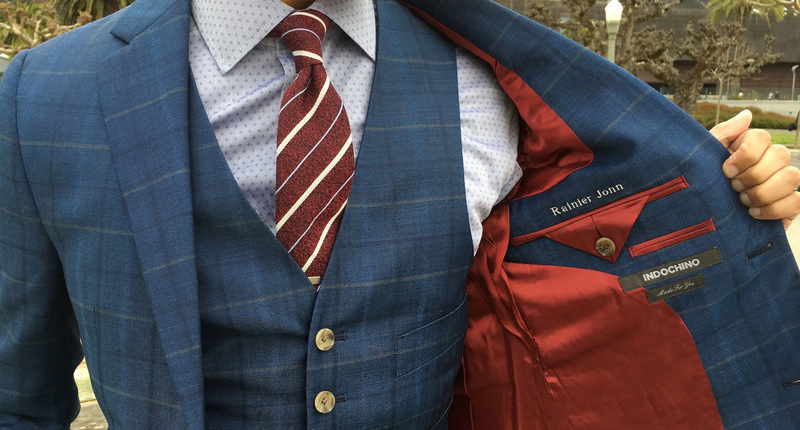 Rainier is the man behind the popular Instagram account and blog @thedressedchest—we wanted to learn how he pulls his impressively curated outfits together and where he gets his suit smarts from. 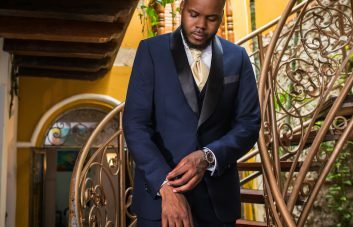 Jump to the end of the article to learn how to enter a draw for a perfectly tailored INDOCHINO wardrobe via @thedressedchest. You mentioned in prior interviews that you work in an industry that doesn’t necessarily prioritize style. Do you think that’s still true? In my case, yes. In a startup environment, unless your position is client facing, the dress code is generally lax. This doesn’t mean that people don’t care about what they wear, rather they have the freedom to dress in more comfortable clothes every day without being criticized by others. That being said, there are still plenty of startup guys out there who put in more time and effort into curating their outfits every day—myself included. How do you build your outfits on a day-to-day basis? Normally I start off with a particular piece that I want to wear—a tie, a shirt, or a suit—and work from there. 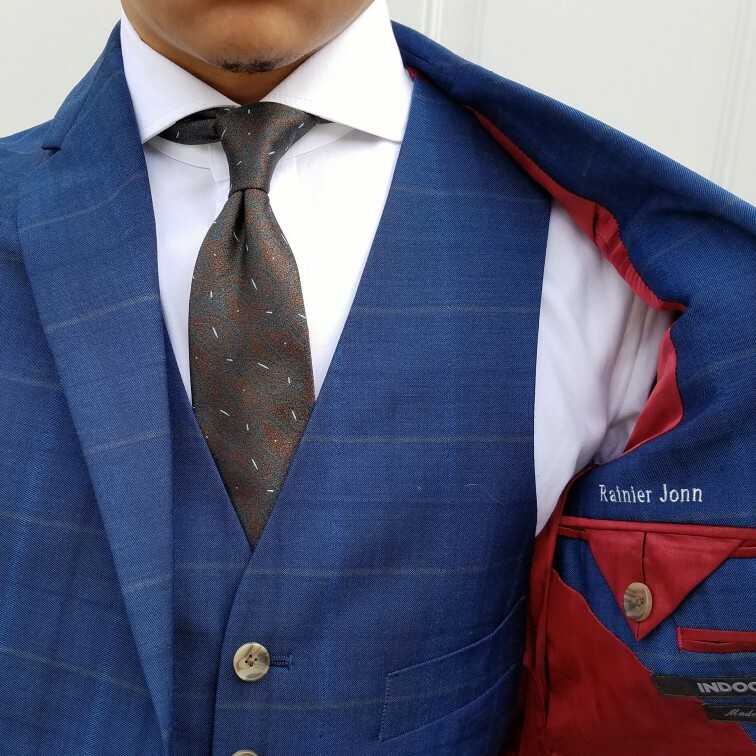 For example, if I have my eye on a striped tie, I’ll pick a shirt that complements it and then put a jacket on top that balances the whole look. Think repp stripe tie, oxford shirt, denim jacket, and chinos. There are times when I am either too busy or too lazy to come up with a well thought-out look. 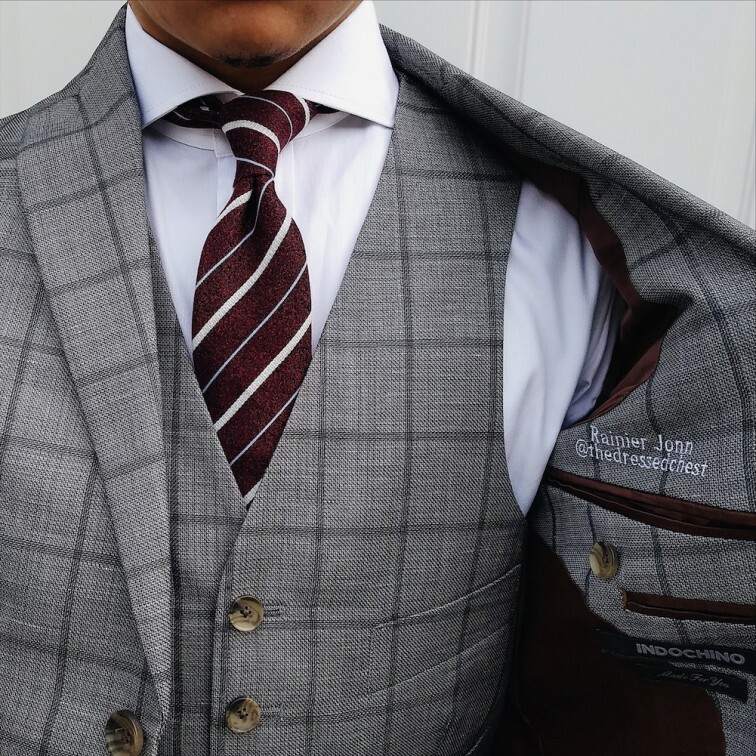 On those days, I’ll either go with a simple, classic outfit like a white shirt, solid dark jeans, and a knit tie, or mix and match some interesting shades and patterns with my go-to colors—blue, gray, or brown. Which accessories tend to grab your eye? Accessories with deep, rich colors and textures instantly catch my attention. 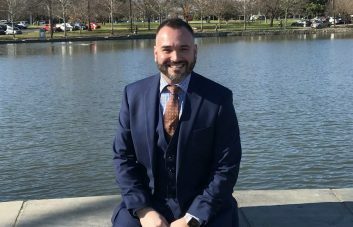 That’s why I often gravitate towards knit, raw silk or chambray ties over the usual shiny silk ones. It’s also why I love fall and winter when we get to wear the biggest variety of textures, as well as the deepest of browns and reds. Name 3 items in your closet that you could never part with. My navy blue knit tie, whale tie bar, and a pair of slim dark indigo selvedge jeans. These pieces are so versatile and easily get the most wear. You can pair them with virtually any shirt and jacket and come up with completely different looks. 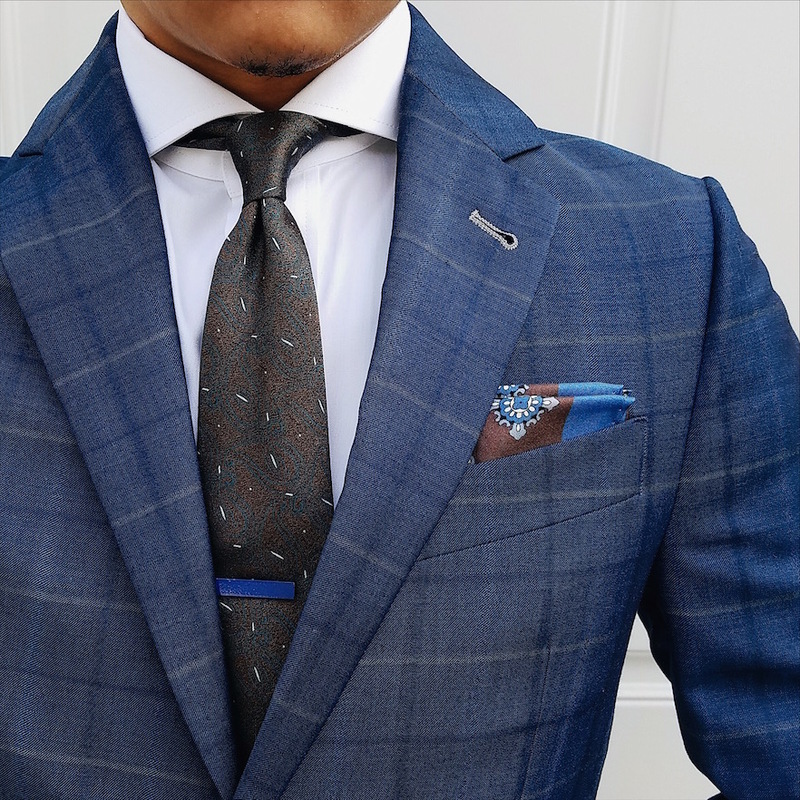 Do you have any general rules when it comes to pairing colors, fabrics or patterns? Firstly, I like to decide which piece in my outfit is the focus and use the other pieces to complement that item. If I start with a colorful floral tie for example, I’ll pair that with solid or subtly-patterned accessories. For fabrics, I try to keep the textures different but in a similar level of texture. Think linen suit with a cotton tie, or a tweed suit with a herringbone tie and a cotton pocket square. As for patterns, it’s a matter of mixing up sizes and patterns style—pencil stripes with florals, big plaids with little dots, and so on. As long as I’m not wearing the same pattern or the same pattern size in the same outfit then I’m good. You are based in San Francisco. How would you describe the city’s vibe and how does it influence your personal style? The style in San Francisco is so diverse, from crafted workwear and tech startup norm-core to downtown athleisure and sharp suiting. This allows people like myself to pick our favorite aspects of each broad genre and combine them into our personal style. The Bay Area is also great for its consistently cool climate; so for nine months a year, I get to put together some really great layers. 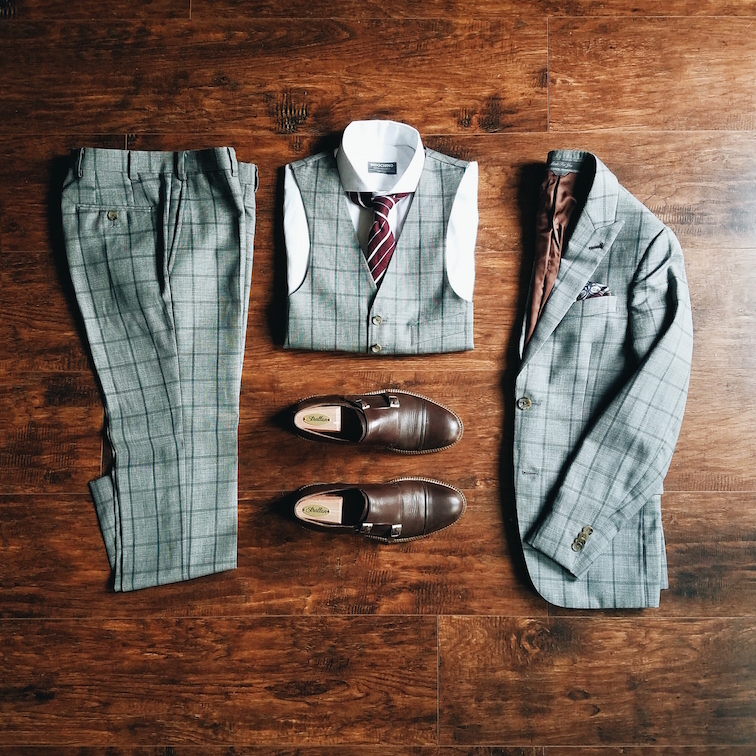 Follow Rainier on Instagram for tips on how to create your own smart, personalized looks. 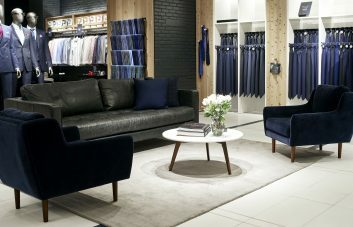 Additionally, one lucky follower will win a completely customized wardrobe courtesy of INDOCHINO. Get all the contest entry and prize details at @thedressedchest.